During this past holiday, I decided to try drinking some boiled custard. I hadn’t had any since I was a child and I forgot what it taste like. The custard was quite nice and had the taste of melted ice cream. I thought about the boiled custard. Since it tasted like melted ice cream, I figured it might be good to cook something with. The only melted ice cream recipe I recalled was for bread. I looked up ice cream bread recipes and then adjusted the ingredients to fit my needs. I used just 2 ingredients: boiled custard and self rising flour. The bread turned out beautifully. 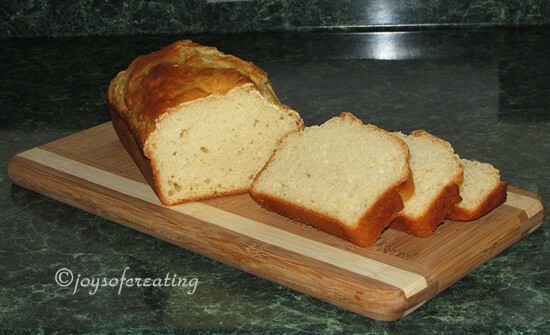 The texture of this bread is firm and it has a light cakey taste to it. 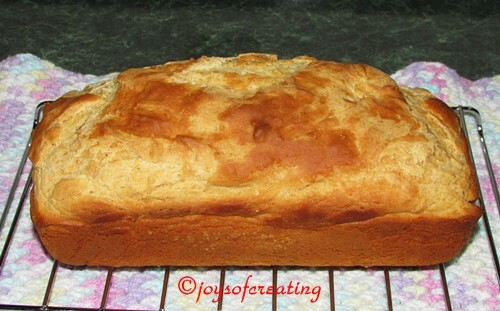 I’m tickled how just 2 ingredients made such a nice loaf of bread. 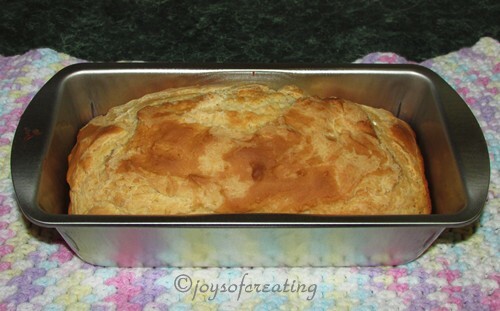 My hubby says the bread doesn’t have much taste, but it does have a nice texture. He thought it might be good with sugar added to the mix. I think he’s right, it’d make a dandy strawberry shortcake. but I haven’t tried making it with sugar yet. Here’s my recipe if you want to try it. 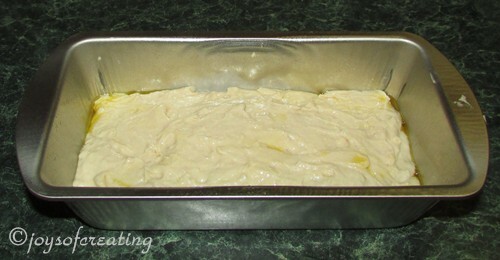 Bake in a preheated 350 degrees oven for 45 minutes or until done. Let me know if you try my recipe and any changes you make to it. Have you made anything using boiled custard? Do you make your own boiled custard? Wishing you all a sweet rest of the week! 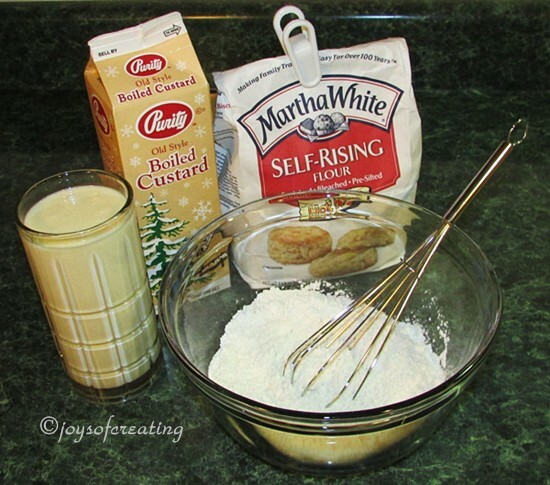 This entry was posted in Kitchen-Cooking & Misc and tagged 2 ingredients, baking, boiled custard, bread, bread recipes, custard, custard bread, food, ice cream, loaf, self rising flour. Bookmark the permalink. The bread sounds intriguing. 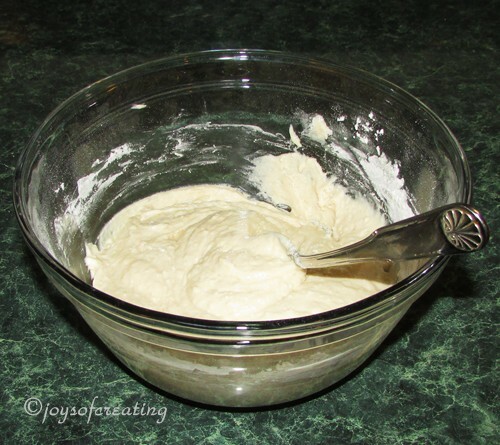 I made a hundred-year-old recipe for Stirred Custard (which I’m thinking is the same thing as boiled custard) for my blog several years ago. I’d have to find boiled custard first, but if it tastes like melted ice cream, I might end up, uh… skipping the “add it to bread” part. I like melted ice cream. Melted ice cream does have a yummy taste. I was pleased to discover custard tasted like it. If you get a chance try boiled custard, you may like it. I’d never heard of making anything with melted ice cream–or boiled custard. It sure makes a pretty loaf! I was real pleased with the look and texture of the loaf. Especially since it only had custard and flour in it. I hadn’t never considered melted ice cream an ingredient for cooking until I read a recipe to make a little bread in a mug in the microwave. I haven’t tried it yet, but it may be pretty good. Can’t go wrong with ice cream! Ice cream bread sound very interesting! There’s recipes to make a little ice cream bread in a mug in the microwave. I haven’t tried it yet, but it may be pretty good. 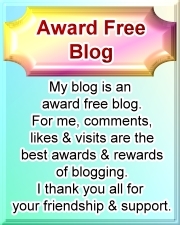 Thanks for visiting my blog and leaving me a happy comment. It is a pretty loaf!! My former mother-in-law made custard a couple of times that I remember; I’ve never tried it. I was quite pleased with the look and texture of the loaf too. If you like ice cream, you may like custard. I enjoyed tasting it, but it’s awfully rich. I bet your Mother in laws homemade boiled custard was mighty tasty. Yum!